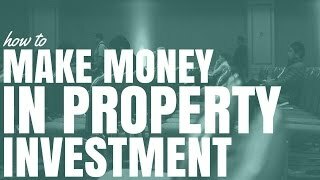 Property investment can be a great way to make money but how exactly do you make money in property investment? 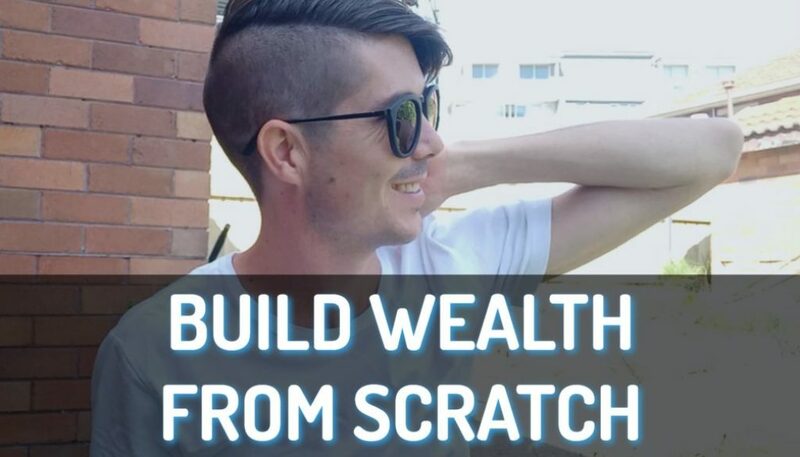 Today we’re going to look at the three ways that people make money from property investment and ways that you can accelerate how fast you make that money. There are so many different ways that you can invest in property. But almost every single one of these ways relies on just 3 ways of making money. 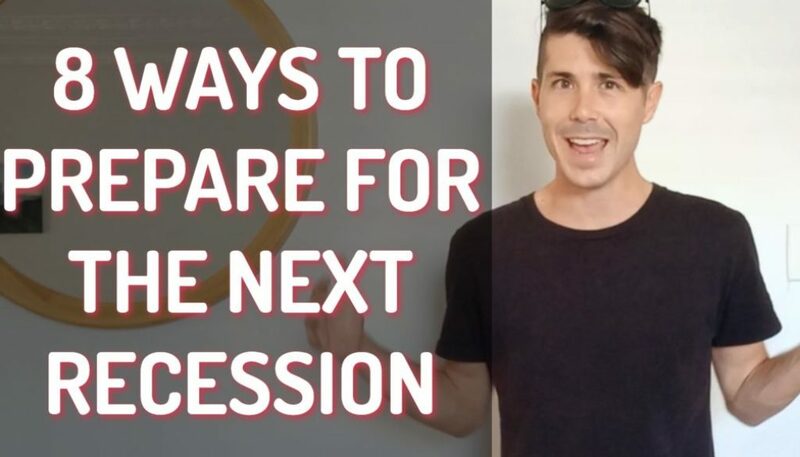 I’m going to look at these 3 ways and now I’m going to explain a little bit more about ways to accelerate how fast you make money in property. The first way people make money in property and probably the most common way especially in Australia is through what’s called capital growth. 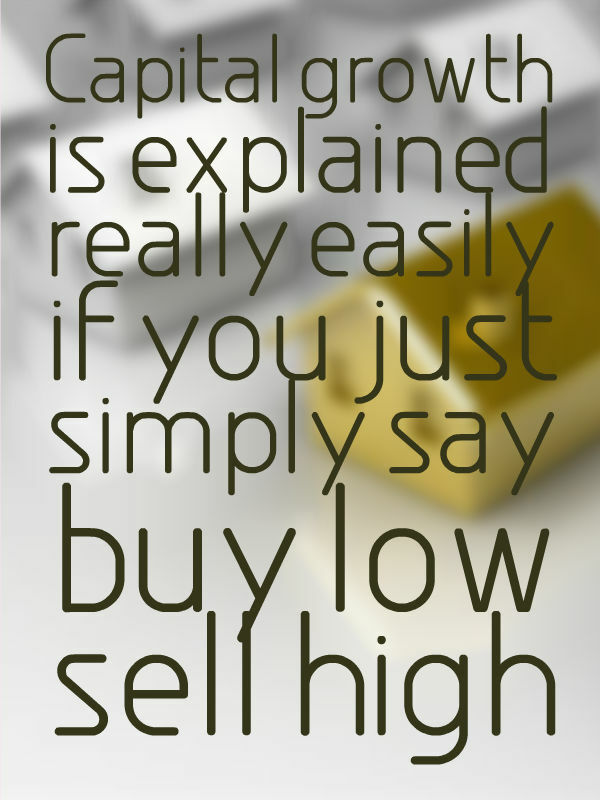 Capital growth is explained really easily if you just simply say buy low sell high. The whole goal of capital growth is to purchase a property and to have it increase in value over time either through doing work on it yourself or most likely through the market just going up and then selling it or borrowing against that growth in order to access that money. Capital growth is really popular in Australia because most properties are negatively geared. This is where they actually cost more money than they bring in in rental income. 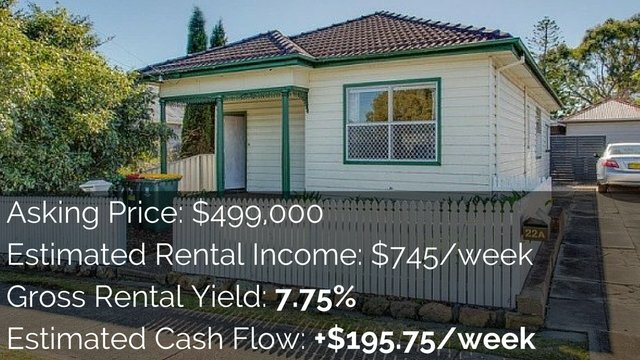 Capital growth is the kind of silver bullet to counteract negative gearing where can make a great deal of money even though the rental income doesn’t cover all the expenses and you are actually paying to earn that investment every single month. Method number two for making money is through positive cash flow. This is explained by saying more income than you pay in expenses. Positive cash flow works when the rental income coming into the property pays for all your expenses like your mortgage, your insurance, your counsel rates, your manager fees. If you pay all you’re expenses and there’s still money left over at the end of the day then that is positive cash flow. 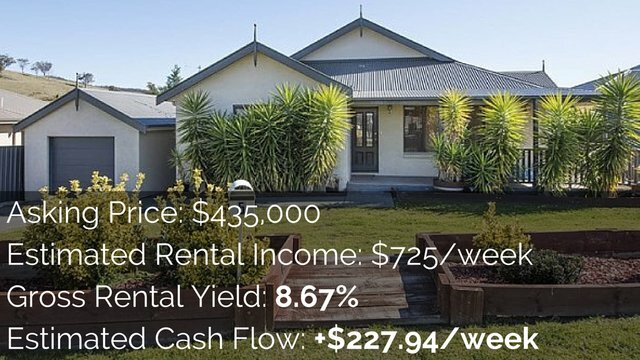 Positive cash flow properties are much harder to find in Australia than they are in other countries like the US. But there are still heaps of them around and anyone who says that positive cash flow properties don’t exist anymore is frankly bonkers. I know that positive cash flow properties exist because part of what I do is I actually find and list positive cash flow properties inside my Get the free eBook. I also teach people how to find positive cash flow properties using the same techniques I use. If you are interested in learning about that or seeing those properties head over to On Property Plus and sign up today. When it comes to capital growth versus cash flow a lot of people lean towards capital growth because you can make large sums of money a lot quicker. This is because you have leverage to purchase the property on borrowed money as that property goes up in value. The growth in capital growth compared to the money you invested can be quite significant. You are usually going to need more than one investment property in order to achieve financial freedom. 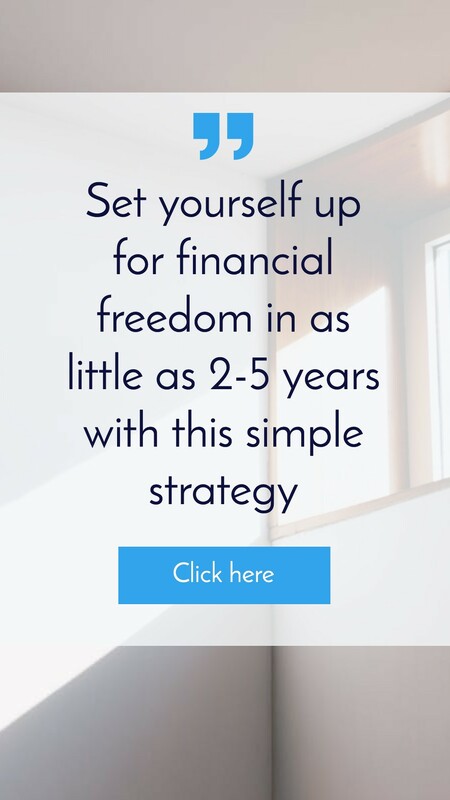 Find out how many properties you need to be financially free. When it comes to capital gains versus positive cash flow that’s a complete different discussion that really I need to do another episode about. The third way to make money through property investment is through tax benefits. Because property has on paper losses associated with it like depreciation where you can claim the lowering in value of items within the property or even the construction of the building itself. On paper the refund is not greater than what you paid out but because the lowering in value which isn’t a year-on-year tax expense you can actually get some major tax benefits through property. That’s way more detailed than I can go into and I’m not a certified accountant so don’t take any of this as taxation advice. Always see an accountant before you do anything in regards to tax or read more details about the tax advantages of investment property. There you have your three different ways of making money. You’ve got capital gains. You have got positive cash flow and you’ve got tax benefits. Now what are some ways that people tend to accelerate the growth of their properties? Let’s look at capital gains first. Accelerating the growth of the value of your property can be done in a myriad of ways. There are cosmetic renovations. There are larger structure renovations like doing extensions. There are developments like adding a second property. There are subdivisions and you can build townhouses. There are so many different things that you can do to add value to your existing property. And if you’re an active investor and you are actually going out there and adding value, there can be huge rewards for you. If you just purchased a property in Sedona well then you need to wait for the market to go up in order to get value from that property. When it comes to positive cash flow you can add value mainly through cosmetic renovations to make the property more appealing to increase the rental yield that it’s going to deliver. But you can also increase value through things like development because things like adding a granny flat or adding a new dwelling onto your existing property means that the rental yield that you get based on the construction cost could bring the entire rental yield of your property up. So renovations and adding other dwellings or splitting dwellings from just one income stream into multiple income streams. It is how people tend to accelerate their cash flow and passive income. And when it comes to tax depreciation I am actually not going to go into detail about how to accelerate that and get more tax depreciation. If you go and speak to a quantity surveyor, they can do a report for you and show you what you can legally depreciate and you take that to your tax accountant and they will lodge that with the ATO. It’s not something that I can really advise on. If you want to see a course I did a ten part series on depreciation and you can check that out and learn more about that. So I think some of the keys to making good money from property are to look for areas that you can add value in the way that you want to make money. So if you want to make money through capital growth and through increase in value look for ways that you can buy a property that needs improvement that would generate that for you. If you want improvements in passive income then look for properties where you can create improvements that generate you more passive income. Manage your properties well. 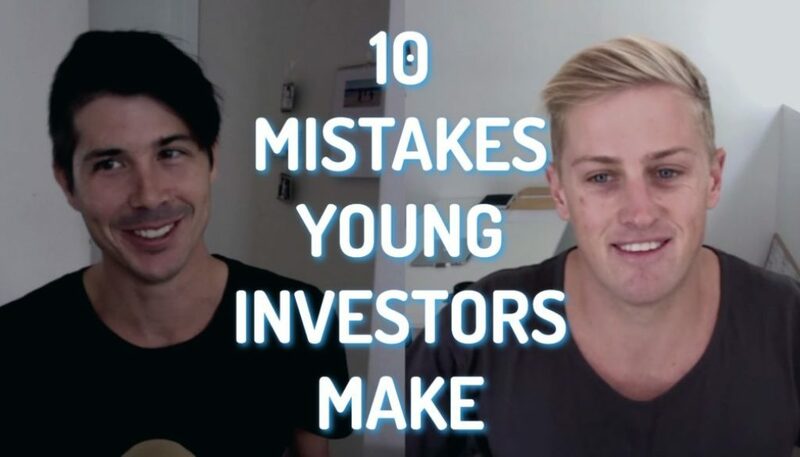 I’m a firm believer that the investor plays a vital role as to whether or not a property investment is either a good investment or a bad investment. Always do your research before buying and make sure they don’t pay too much for a property and always be prepared for anything that might come your way. Property is not without risk and it does have its issues with it. If you liked this episode then you might want to check out On Property Plus which is my premium membership website where I have advanced training about how to find positive cash flow properties and how to research in an area.